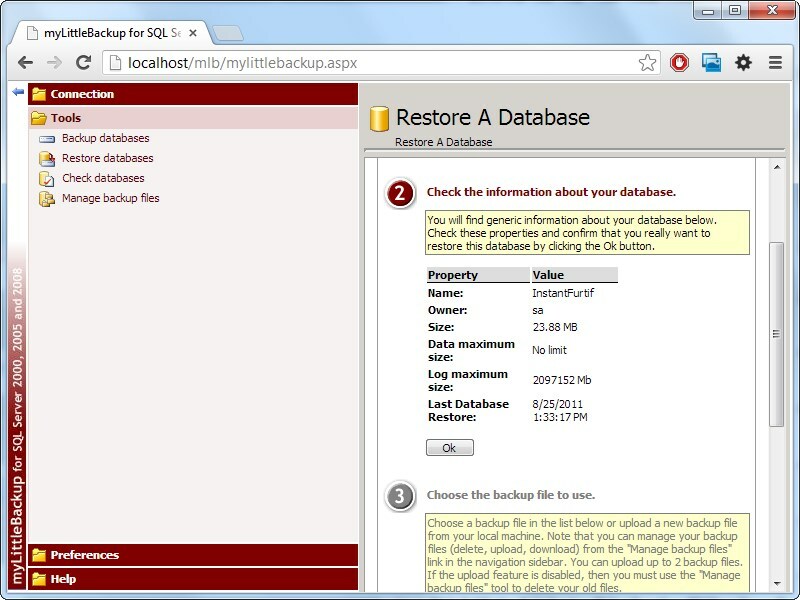 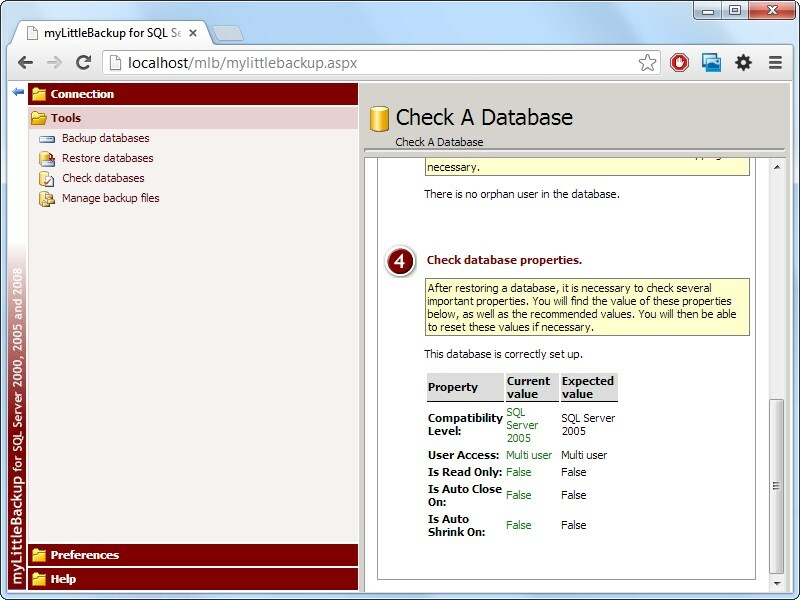 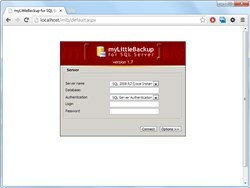 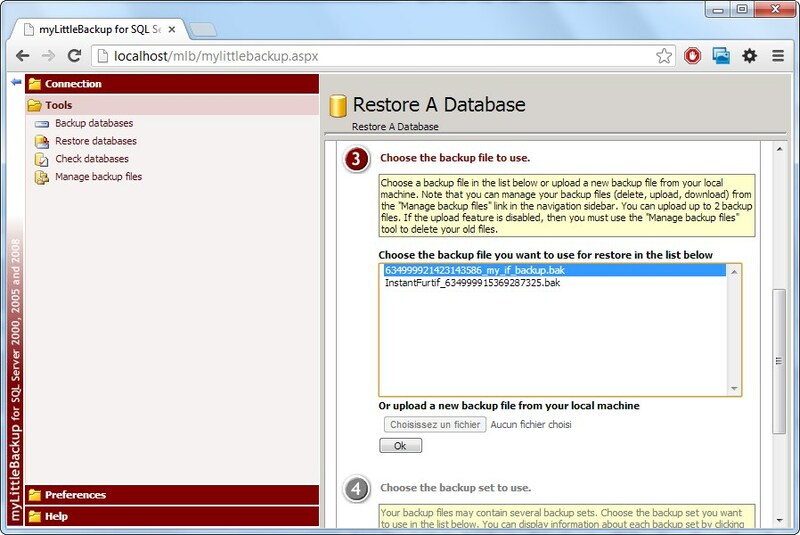 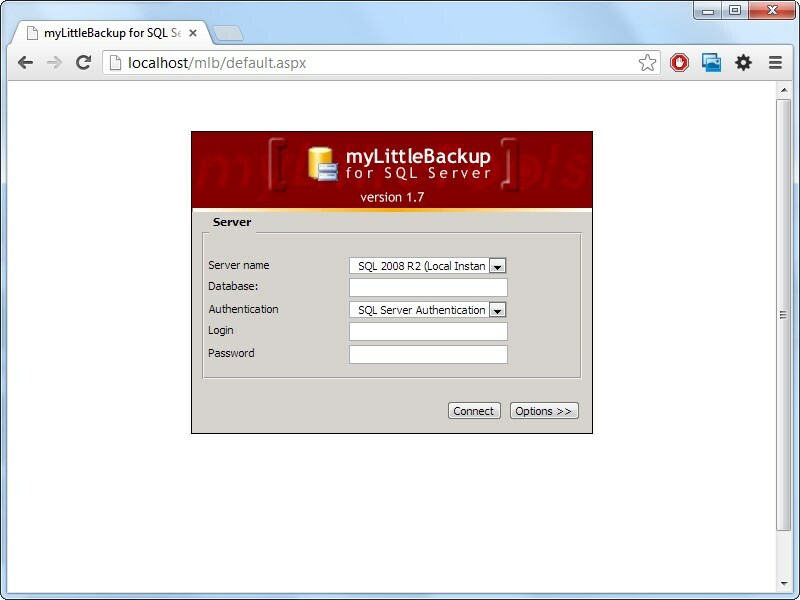 Users log into myLittleBackup using their own SQL Server credentials. Step #1: choose the database to be backed up. 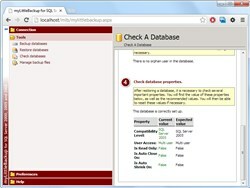 Step #2: check that the provided info are correct. 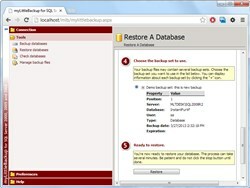 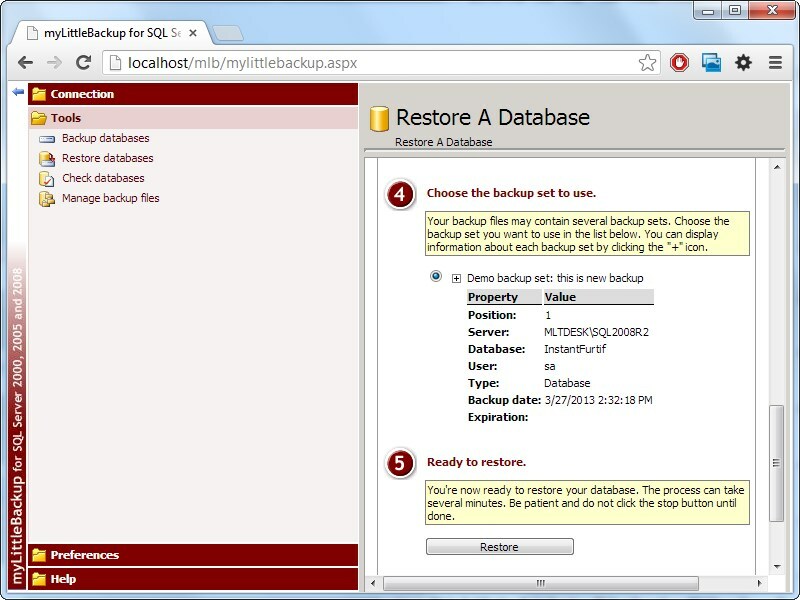 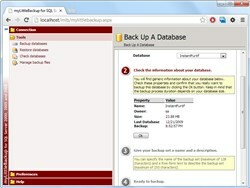 Step #3: name your backup set then click the Backup button. Step #4: a link to download the backup file is provided. 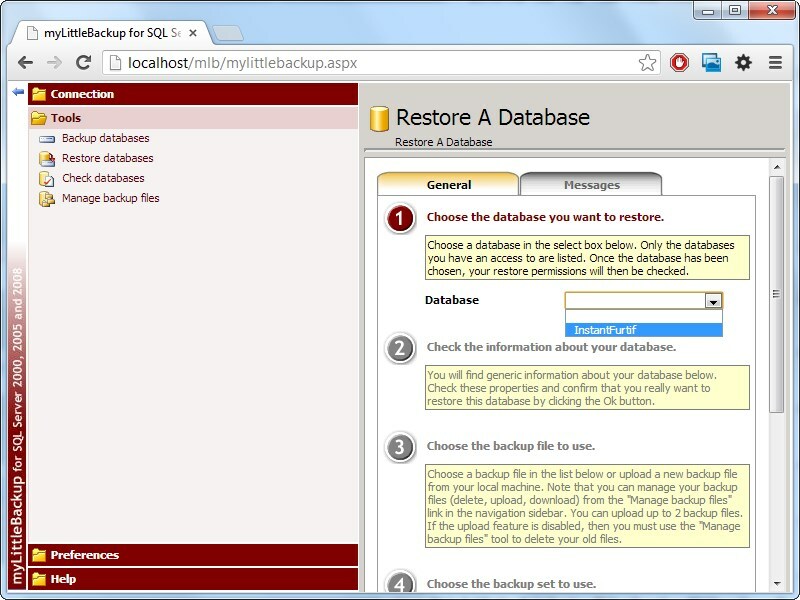 Step #1: choose the destination database for the restore. 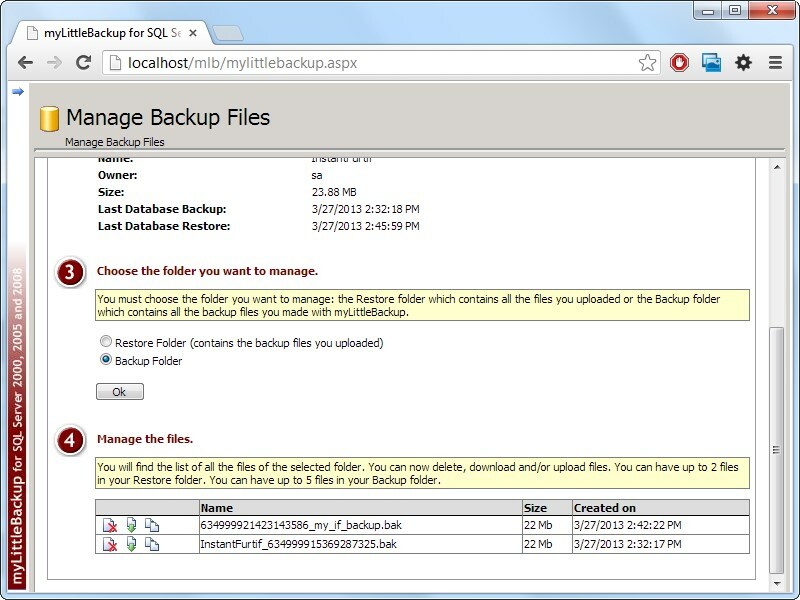 Step #3: choose the bakup file to use (or upload a new one). 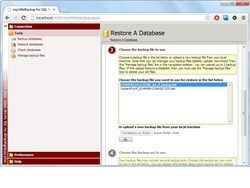 Step #4: choose the bakup set to use, then click the Restore button. 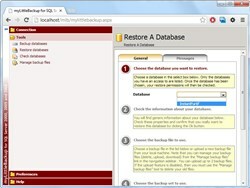 Step #5: Et voilà! You can be informed of some errors in some cases. 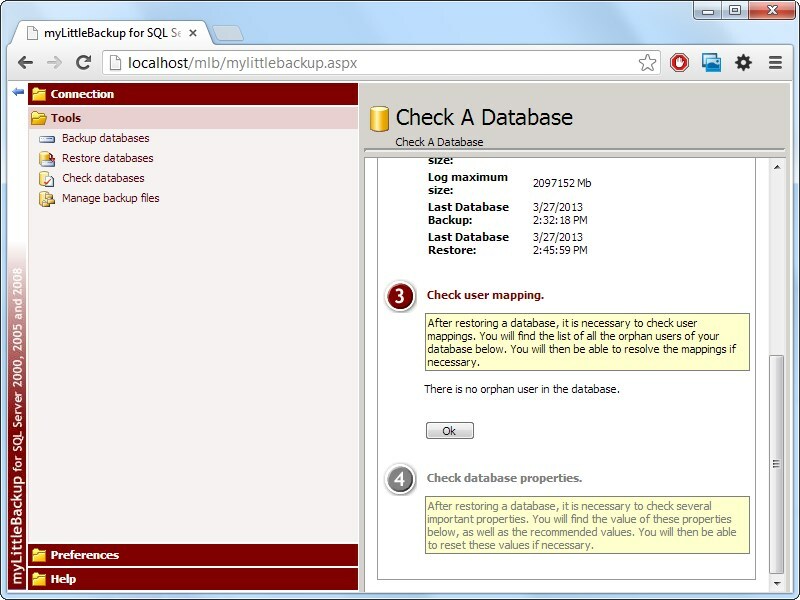 Step #1: User mappings are checked and fixed if necessary. Step #2: important properties like auto-close, auto-shrink are checked and eventually fixed. 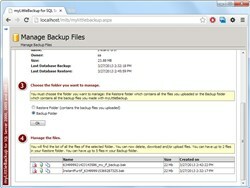 For each database, one can copy, delete and download backup files.